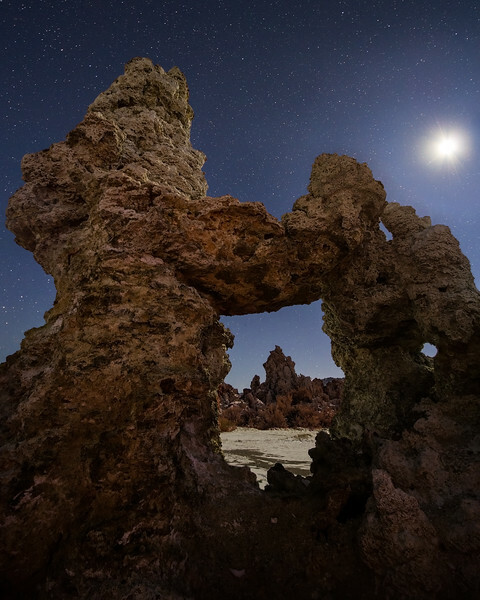 With the lake being so low, there are tufa formations that are not usually accessible. I had seen this "keyhole" like arch on a previous trip and thought that I would be able to frame the distant tufa nicely. I was pleased to find that I was and created this composition.